Belgrade Polymer Products has secured extra business with a local customer who supplies radiator fan cowls for commercial and agricultural vehicles worldwide. 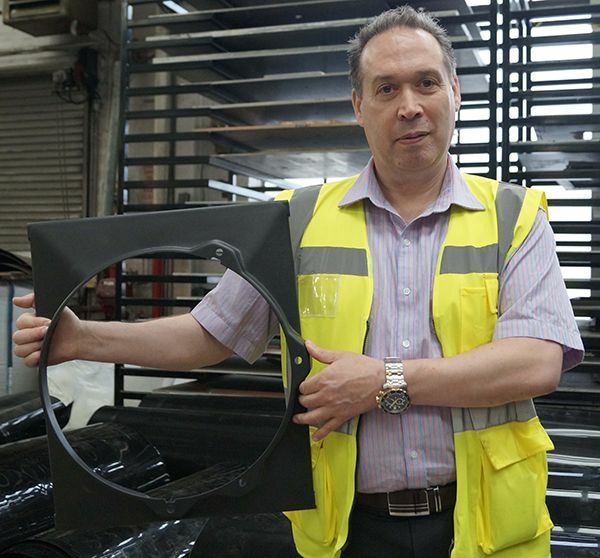 The Wellingborough-based thermoforming specialist manufactures seven different sizes of ABS fan cowls that are fitted as original equipment into vehicles destined for markets such as the US and Middle East. He puts this success down to an ‘excellent trading relationship, good communication and fully understanding their requirements’. Belgrade Polymer Products is ISO9001-accredited and one of the UK’s leading vacuum-forming and injection-moulding companies. It manufactures bespoke products for a diverse range of market sectors and has specialist expertise at manufacturing prototype items that can be quickly converted into large scale production. For more information, contact Belgrade Polymer Products on 01933 222205 or visit the website – www.belgrade-polymer.com.